Though Korea-watchers’ eyes are set on the upcoming DPRK-U.S. summit, Russia is without a doubt at least in their peripheral vision. Moscow recently had a chance to play an uncharacteristically important role in the multilateral dynamics of the Korea crisis. 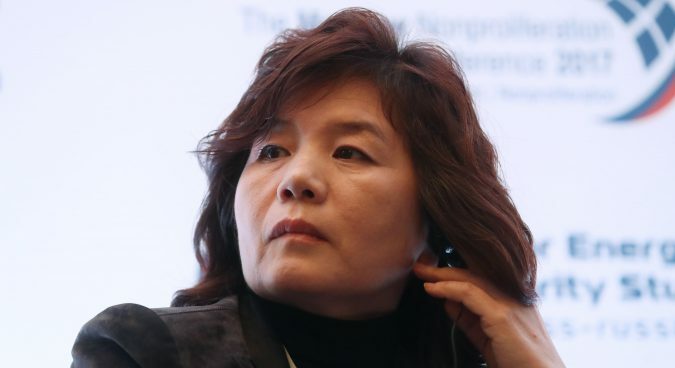 From October 7-8, senior North Korean diplomat Choe Son Hui met with both Chinese and Russian officials in Moscow ahead of the upcoming DPRK-U.S. summit. Following the trilateral summit in Moscow, the three parties reiterated a call for loosening sanctions against Pyongyang. Furthermore, Beijing, Moscow, and Pyongyang continued to call for multilateral talks between the three countries that also include South Korea and the U.S. Chances are good, too, that Moscow’s time as a player in the arena is not over yet. 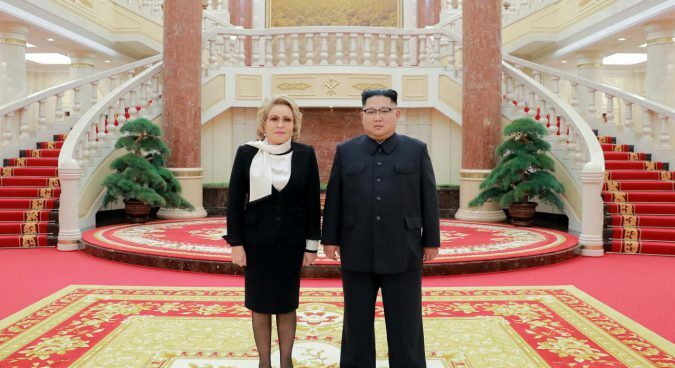 Senior Russian lawmaker Valentina Matviyenko, who recently met Kim Jong Un during a visit to Pyongyang, also recently made a separate trip to the ROK and met with South Korean president Moon Jae-in. There, Matviyenko announced that plans were under discussion for Kim Jong Un to visit Russia. Moon later issued his own follow-up remarks, declaring that the North Korean leader’s visit to the Russian Federation would take place “soon”. To understand the significance of Russia’s current rising star in inter-Korean affairs, it’s helpful to review recent history as well as more contemporary inter-state dynamics. The end of the Cold War had a profound impact on Northeast Asia’s security landscape, insofar as the region went from being part of the global Soviet-American divide to a regional Sino-American bipolarity. For North Korea, the U.S.-led alliance system has remained intact, even as the DPRK’s pre-1991 Sino-Soviet safety net came apart. Thus the DPRK was left without the (relatively) solid security blanket it once had, while the Russian Federation lost significant influence in Northeast Asia. Meanwhile throughout the 1990’s, North Korea and Russian Federation experienced a decline in relations. At that time, Russian officials described a decoupling between Moscow and Pyongyang, which had been united by a treaty dating to 1961, as “inevitable”. By 1995, the DPRK-Soviet friendship treaty had been abolished. The decline in North Korea-Russia ties, however, translated into a loss of Russian influence on the Korean peninsula, a reality that Moscow’s foreign affairs community came to regret. The loss of clout in Korea complicated one of Moscow’s key foreign policy goals, namely terminating conflict situations in countries on the Russian periphery. Furthermore, losing its standing in Korea played a major part in the aforementioned loss of Russian prestige in East Asia overall. China subsequently moved in to take the place of North Korea’s undisputed primary international partner. Thus any Russian moves to regain its standing with the DPRK will inevitably have the goal of displacing Beijing’s influence in the background. To be sure, this week’s trilateral meeting between China, the DPRK and Russia in Moscow underscores the current state of relative unity between Beijing and Moscow in their respective Korea policies. China and Russia have both been pushing for easing sanctions against the DPRK well before last week’s renewed calls for mitigating restrictions against Pyongyang. Last year, Beijing and Moscow proposed what has been dubbed the “road map” to peace on the Korean peninsula. The roadmap is often portrayed as simply being a “freeze-for-freeze” agreement (with North Korea halting security provocations in exchange for a stop to joint ROK-U.S. military exercises). Nevertheless, in reality the Sino-Russian proposal is a multi-step process that would ultimately culminate in the establishment of a regional security mechanism in Northeast Asia. Furthermore, much like China, Moscow is averse to having a Korean peninsula united under a pro-American government on its doorstep. Valentina Matvienko recently reaffirmed Russia’s commitment to seeing the Korean Peninsula reunified. Indeed, the North Korea-Russia friendship treaty, signed in 2000, cites reunification as a mutual goal of Moscow and Pyongyang. For Russia, however, as Korea specialist Alexander Zhebin of the Russian Academy of Scientists has argued, a Korea unified under Seoul, with thousands of American troops as well as a U.S. missile defense, would be akin to NATO’s flanking of the European section of Russia. Before concluding that Beijing, Moscow, and Pyongyang are all on the same page, however, there are very real differences between Beijing and Moscow vis-à-vis the Korean Peninsula. For one, China has tended to view the North Korean threat to regional security more negatively than Russia. Conversely, the Russian Federation has tended to be more willing than China to pursue special economic cooperation projects with the DPRK. For the Kremlin, therefore, the task has been to shore up ties with the DPRK without appearing to be overtly in favor of Pyongyang, especially at the expense of Russia’s relations with Seoul. By all appearances, however, Russia has taken on a sort of advocacy role for the DPRK. 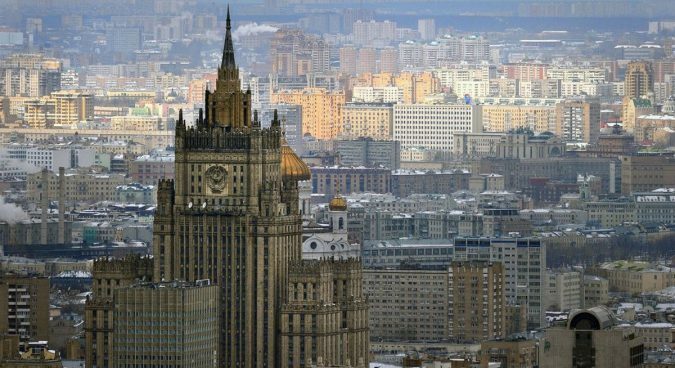 Moscow has called for security guarantees for the DPRK by way of a multilateral security mechanism, particularly against the U.S. Furthermore, Russia has decried the increasingly stringent sanctions regime against the DPRK, citing humanitarian concerns. 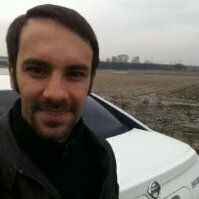 Behind such ostensibly charitable considerations, the Kremlin has its own interests for which it is advocating. A multilateral security mechanism would possibly allow Russia to enjoy influence in Northeast Asian security in contrast to American (and to a much lesser extent, Chinese) dominance. Indeed the stalling of the Six Party Talks in 2009, to which Russia was only grudgingly invited in the first place, represented a setback for what little influence in the Korean security crisis Moscow had. Sanctions, meanwhile, prevent Russia from pursuing bilateral and multilateral economic projects with the DPRK. Thus the significance of Kim’s prospective visit to Russia can only be partially understood not only in terms of the general upward trajectory of DPRK-Russia relations that has been in place for approximately four years. Having made three trips to China this year already, it would be odd for Kim Jong Un to seek Russia’s assistance as he has, and yet, not make an official visit. For Kim to visit Moscow would be a sign to both China and Russia that Pyongyang wants to step up bilateral ties with the Kremlin, and move away from excessive reliance on Beijing. In the short term, Beijing and Moscow appear to have the trappings of a partnership tilted in favor of the DPRK. Nevertheless, there are dynamics occurring behind the façade of the ostensible three-way partnership between China, North Korea, and Russia. Pyongyang no doubt has an eye on strengthening its bilateral ties to Moscow insofar as the DPRK can reduce its sole reliance on Beijing. Likewise, the Kremlin doubtless sees an opportunity to continue its trend of strengthening relations with North Korea at a particularly sensitive time for Northeast Asian regional security.